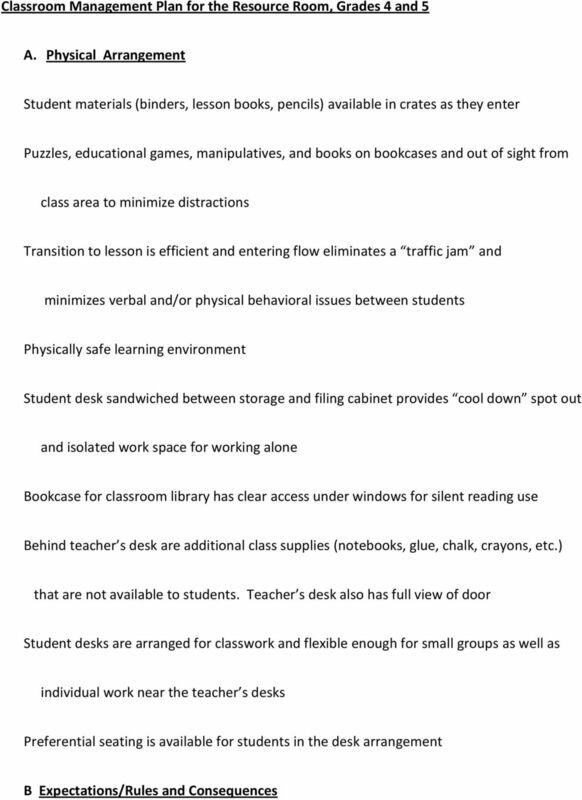 Download "Classroom Management Plan for the Resource Room, Grades 4 and 5. Student materials (binders, lesson books, pencils) available in crates as they enter"
3 1. Upon entering the classroom, each student gets his/her binder, pencil, and textbook from the milk crate in the room s entrance. Each sits in the assigned seat and assumes the learning position of sitting up in the chair, binder and pencil inside the desk, and textbook on the desk. 2. When leaving the class, the students wait for the dismissal from the teacher, put their materials back in the milk crates, and walk (do not run) down the hall to their classrooms. 3. Turning in their completed work is not an issue in the Resource Room because they attend the supplemental sessions to develop skills for success in the general education classrooms. 4. 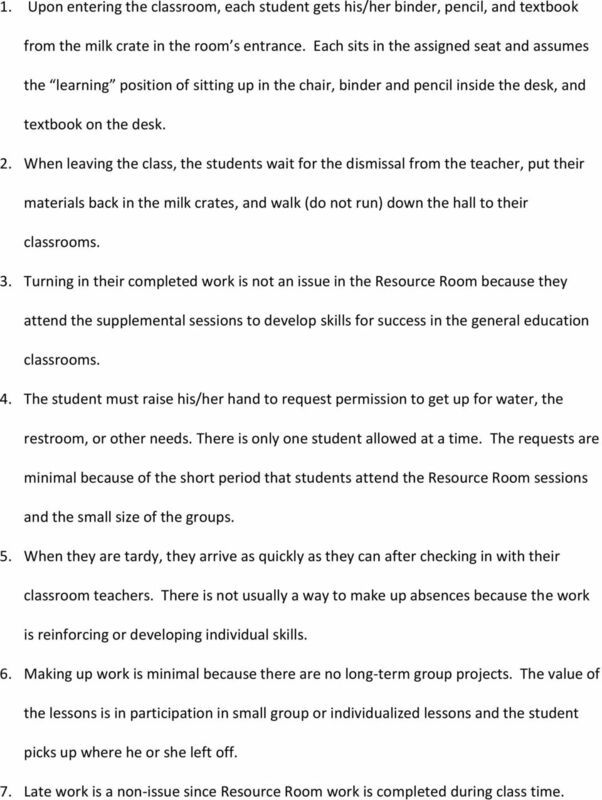 The student must raise his/her hand to request permission to get up for water, the restroom, or other needs. There is only one student allowed at a time. The requests are minimal because of the short period that students attend the Resource Room sessions and the small size of the groups. 5. When they are tardy, they arrive as quickly as they can after checking in with their classroom teachers. There is not usually a way to make up absences because the work is reinforcing or developing individual skills. 6. Making up work is minimal because there are no long-term group projects. The value of the lessons is in participation in small group or individualized lessons and the student picks up where he or she left off. 7. Late work is a non-issue since Resource Room work is completed during class time. 5 learning. Pairing up students helps them practice and refine their knowledge while incorporating a little fun. 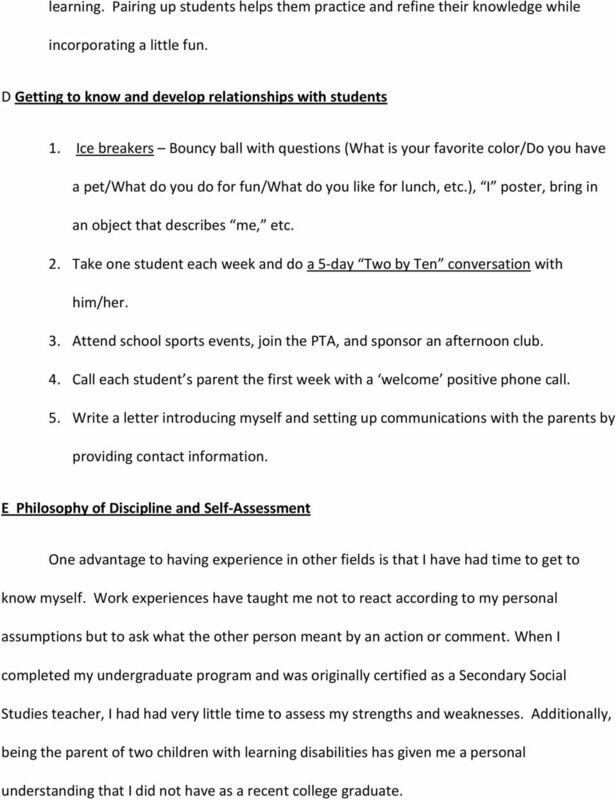 D Getting to know and develop relationships with students 1. Ice breakers Bouncy ball with questions (What is your favorite color/do you have a pet/what do you do for fun/what do you like for lunch, etc. ), I poster, bring in an object that describes me, etc. 2. Take one student each week and do a 5-day Two by Ten conversation with him/her. 3. Attend school sports events, join the PTA, and sponsor an afternoon club. 4. Call each student s parent the first week with a welcome positive phone call. 5. Write a letter introducing myself and setting up communications with the parents by providing contact information. E Philosophy of Discipline and Self-Assessment One advantage to having experience in other fields is that I have had time to get to know myself. Work experiences have taught me not to react according to my personal assumptions but to ask what the other person meant by an action or comment. When I completed my undergraduate program and was originally certified as a Secondary Social Studies teacher, I had had very little time to assess my strengths and weaknesses. Additionally, being the parent of two children with learning disabilities has given me a personal understanding that I did not have as a recent college graduate. 7 not able to control their emotions or behavior sometimes, they deserve an opportunity to take a time out to regroup and later rejoin the class. It is part of my job to help them learn appropriate classroom behavior and, eventually, help them become productive citizens contributing to society. 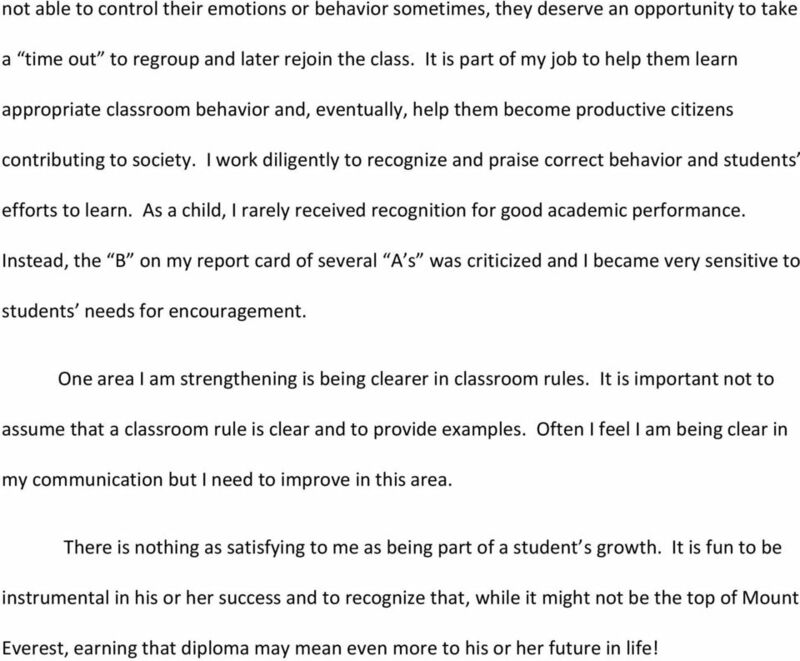 I work diligently to recognize and praise correct behavior and students efforts to learn. As a child, I rarely received recognition for good academic performance. Instead, the B on my report card of several A s was criticized and I became very sensitive to students needs for encouragement. One area I am strengthening is being clearer in classroom rules. 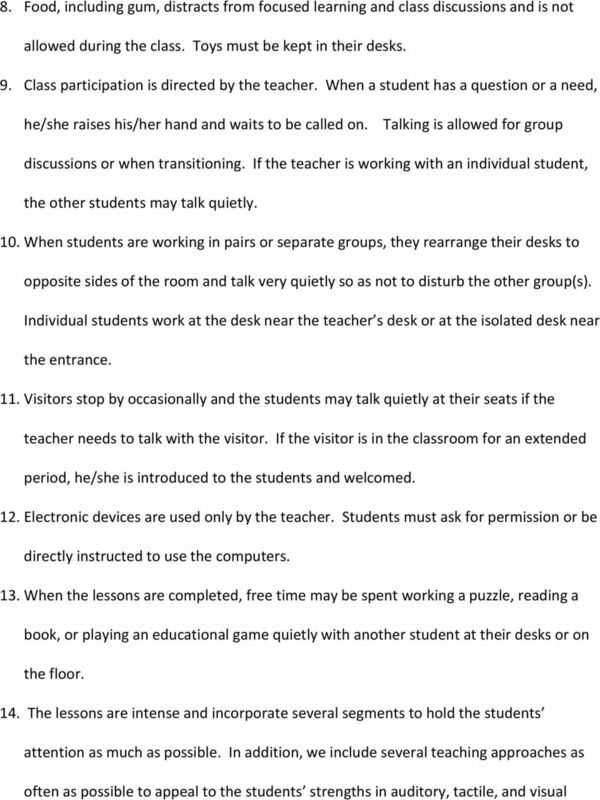 It is important not to assume that a classroom rule is clear and to provide examples. Often I feel I am being clear in my communication but I need to improve in this area. There is nothing as satisfying to me as being part of a student s growth. It is fun to be instrumental in his or her success and to recognize that, while it might not be the top of Mount Everest, earning that diploma may mean even more to his or her future in life! 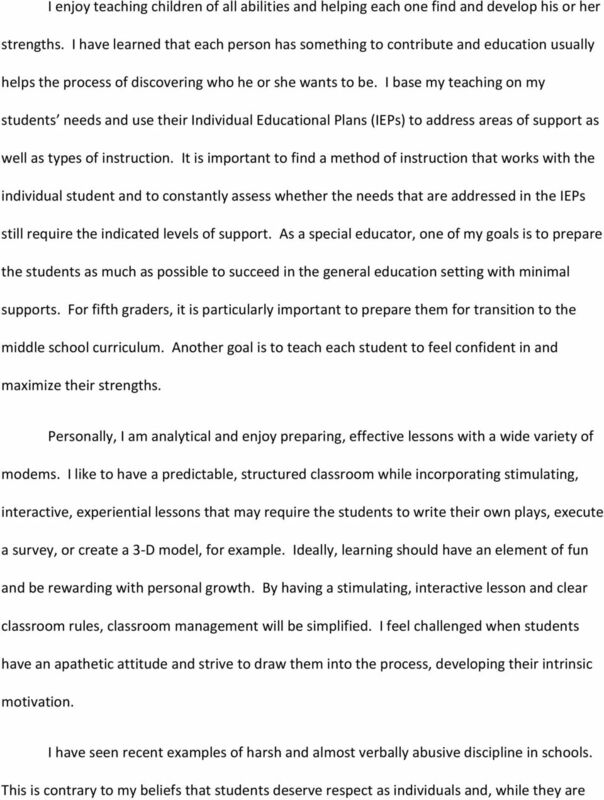 Barsch Learning Style Inventory Jeffery Barsch, EdD. Our program has been created with flexibility in mind to meet the individual needs of homeschooling families. Student teaching is an apprenticeship! Before leaving the pew, what should you do with the hymnal and the missalette and your used tissues, bulletins, or other items? Going to School and Being Effective Doreen Granpeesheh, Ph.D., B.C.B.A. Center for Autism and Related Disorders, Inc. Today s Presentation What is Applied Behavior Analysis? How does it apply to Autism?